Drive Safer’s Basic Car Control and Defensive Driving Course is specifically designed to help teen drivers to understand and gain experience in the physical control of their vehicle in real-world conditions. Too many crashes are the result of driver error and inexperience. It’s critical to know “why” the car does what it does, know “how” to handle the various situations that you will inevitably encounter, and know “what” to do to avoid hazardous situations altogether. 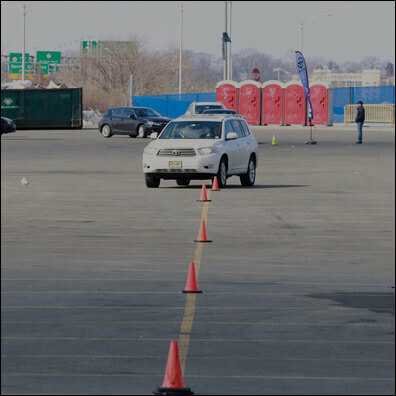 Drive Safer’s Basic Car Control Course provides this training and more. You will leave with a greater respect for your vehicle, a better understanding of your capabilities as a driver, and host of defensive driving and car control skills that may save your life! Drive Safer’s car control and defensive driving course is a driving boot camp that immerses the driver in a thorough understanding of ‘WHY’ the car does what it does. 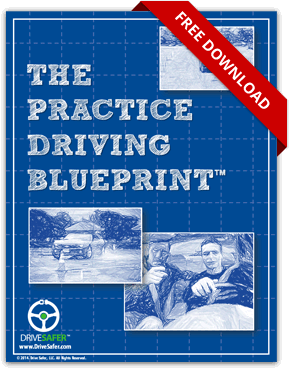 We dig into the physics behind car control and then provide students with instruction on ‘HOW’ to do it. 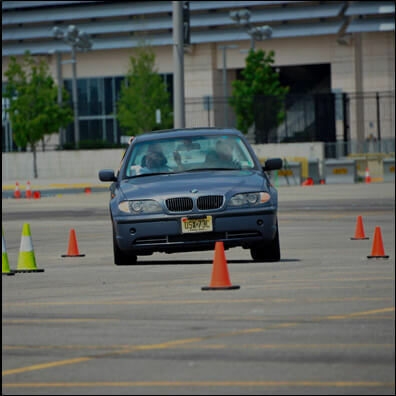 Small group training and one-on-one in-car training by certified high-performance driving instructors. 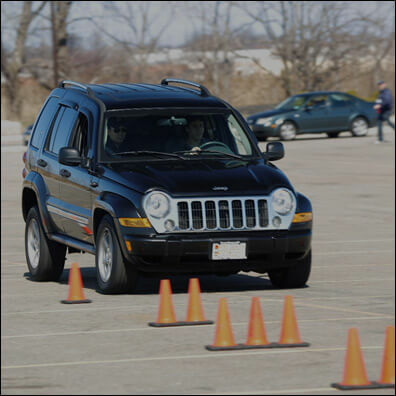 What do you need to be eligible to participate in a Drive Safer Basic Car Control and Defensive Car Control Course? What do I learn when I enroll in a Drive Safer Car Control and Defensive Driving Course? What do I experience when I enroll in a Drive Safer Car Control and Defensive Driving Course? The ability to control your vehicle in a skid is one of the most important things for a student to learn. Skid situations can be induced by an avoidance maneuver to some light rain to an icy patch on a road. This is an invaluable skill that will help teens to successfully avoid an accident. This exercise is designed to teach students how to handle skid situations. 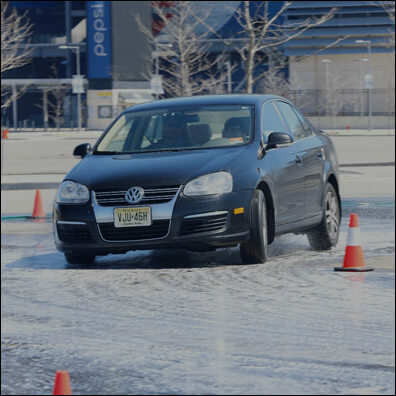 The course is wet and slippery, and the students are taught how to properly recover from both over-steer skids (rear wheels) and under-steer skids (front wheels). The braking exercise is composed of a series of exercises designed to teach various braking techniques to use, while maintaining control of the vehicle at all times.We begin with Panic Braking teaching the proper technique to stop a vehicle in the shortest distance possible. During this exercise, we explore Anti-Lock Braking (ABS) and ensure students understand how the system works, and how to use it properly and effectively. Next we exploring stopping distances and threshold braking, ensuring that the participant understands just how far their car will travel at various speeds, even when they ‘slam on the brakes’. Lastly, we review “trail braking” or how to properly brake in a turn. The hazard avoidance exercise is designed to teach our drivers how to pay attention and avoid distractions, to have alert reactions, to steer then brake and to understand what happens when threshold braking and steering at the same time.Students are put into situations where they are required to make split-second decisions and be able to successfully negotiate quick, evasive maneuvers to avoid a hazard, while maintaining control of the vehicle. Anytime someone drives on a highway or multi-lane road, they most likely will have to change lanes. The avoidance exercise is designed to teach students how to quickly, carefully and effectively switch lanes before coming to a 30% stop. This is so important in preparing people to handle the every-day roads. It is AMAZING that it is not required.